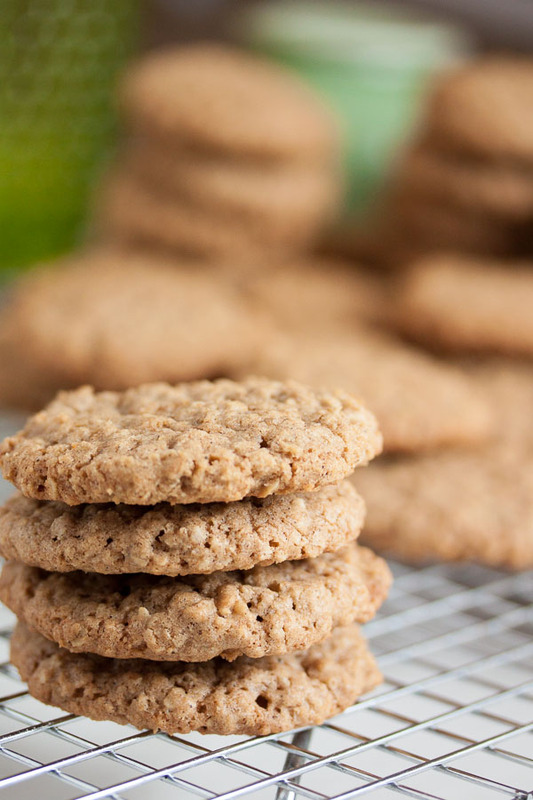 Oatmeal Spice Cookies | wanna come with? As we head into the winter season (and we actually have snow here in Vancouver! it’s officially winter), I find myself craving the traditional cookie flavours – molasses and spice, and even eggnog (which is really mostly nutmeg in flavour). This cookie looked like an interesting variation on a spice cookie, with a combination of spices and flavours that’s a little different. Plus oatmeal. 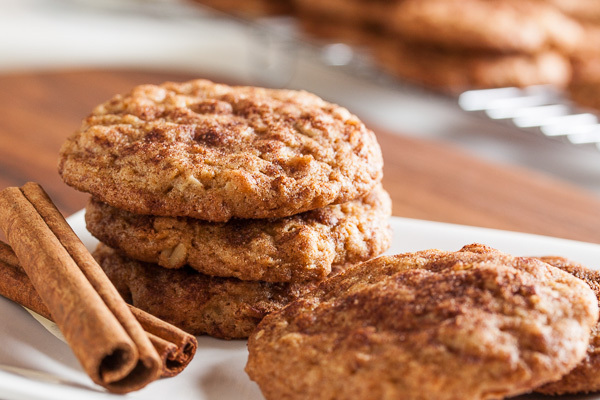 I’ve never had an oatmeal spice cookie, have you? There’s a lot of spice in these cookies, including two full teaspoons of allspice and a half teaspoon of black pepper, so I was expecting something with a bit of bite. But while there is a lot of flavour, it’s a very pleasant blend of spices. And it’s unique. It’s not like any spice cookie I’ve had before! The spices themselves may be the usual blend, but the proportions are completely new to me. They bake up really nicely, spreading out just as much as you’d expect, and they come out of the oven slightly crispy on the outside and still chewy on the inside. I only baked them until they got a bit of colour around the edges, however as they cooled off, they firmed up and became quite crunchy. I really like crunchy cookies, but a few people were a bit surprised by the texture. I’m pretty sure everyone is loving the flavour though. The cookie jar emptied in a single day, and I heard lots of compliments, including one “they taste just like Christmas!” This is a really nice alternative to the traditional ginger flavour. 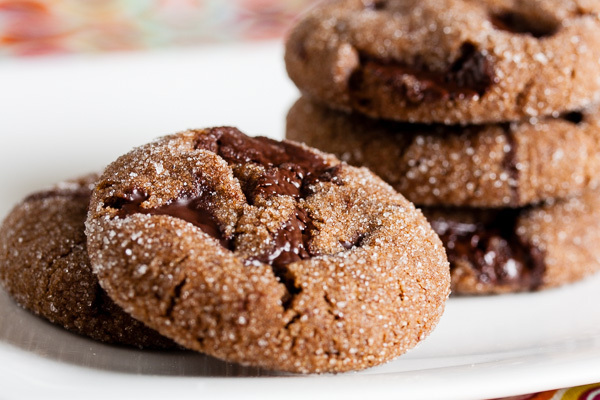 The original recipe was specifically written to make very large cookies – with 1/4 cup of dough per cookie. That’s huge, right? Too big for me. 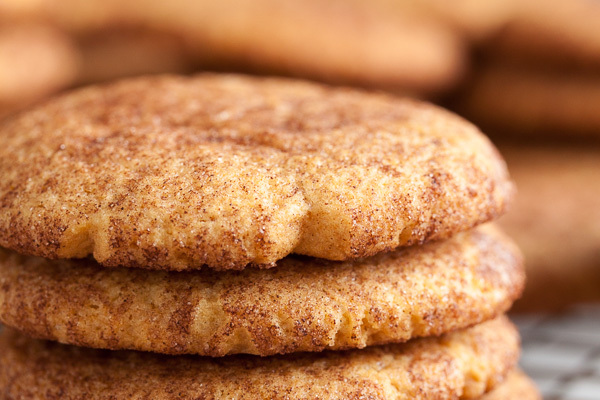 In my experience, people are more likely to break those big cookies into pieces, not wanting to take a whole one. And that doesn’t make for a pretty cookie jar. So I rewrote the instructions to accommodate my usual smaller cookies. People can always take 2 or 3 if they want more. 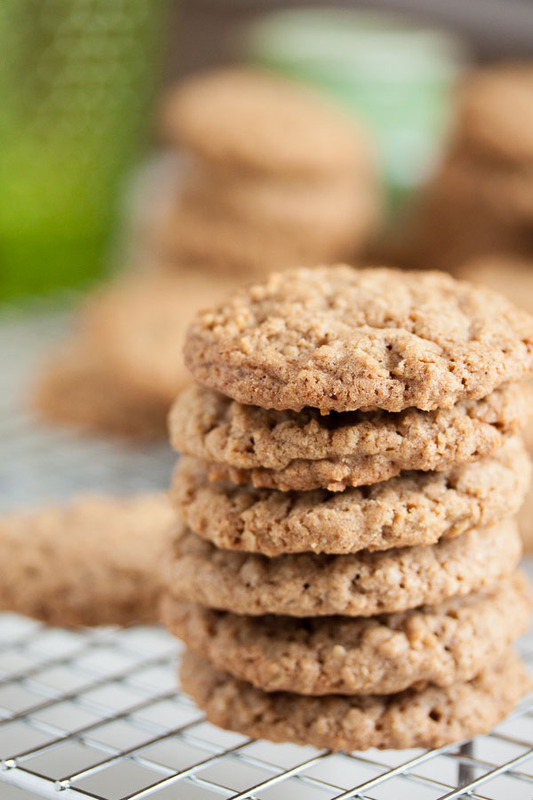 Adapted from "Giant Oatmeal Spice Cookies" from Maida Heatter's Cookies. The original recipe was for 20 really large cookies, but I got 56 with my usual slightly larger than tablespoon-sized cookie scoop. 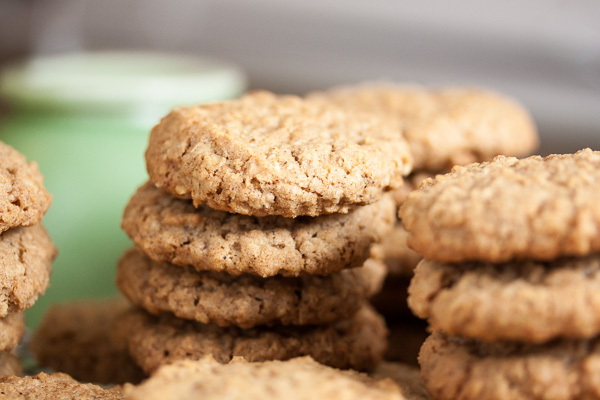 In a medium bowl, whisk together the flour, oats, spices, salt, pepper, and baking soda. Set aside. Bake for about 11-13 minutes, until lightly golden brown around the edges, rotating the baking sheet halfway through the baking time. Allow to cool on a wire rack for a few minutes before removing the cookies from the pan and allowing them to cool completely.